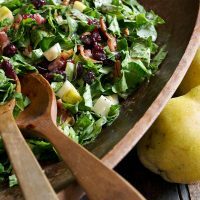 This Fall Pear Chopped Salad is full of Fall pears, dried cranberries, pecans, goat cheese and bacon bits, on top of romaine lettuce and with a homemade poppy seed dressing. I’m always sad to see Summer move to Fall. Oh I know it’s not technically Fall yet, but in my head … it’s Fall :) Signs of Fall have been showing themselves here for the past couple of weeks, with colder nights and the bits of colour creeping in to the maple trees. But thankfully, there are still a good couple of months of fresh from the garden (or trees), food goodness ahead. 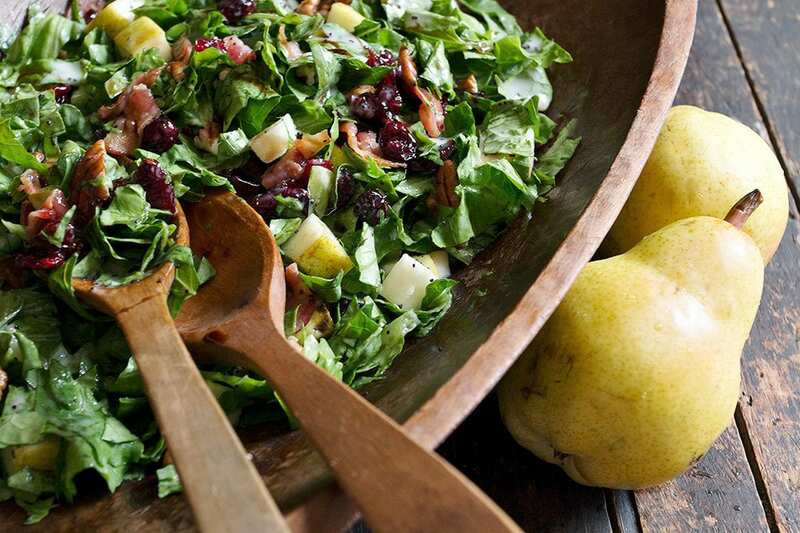 Today, I’m enjoying fresh Fall pears, with this Fall Pear Chopped Salad. It’s the perfect way to transition salads to Fall. I don’t like to pick favourite salads, but let’s just say this one would be right up there! The combination of flavours is just a winner. 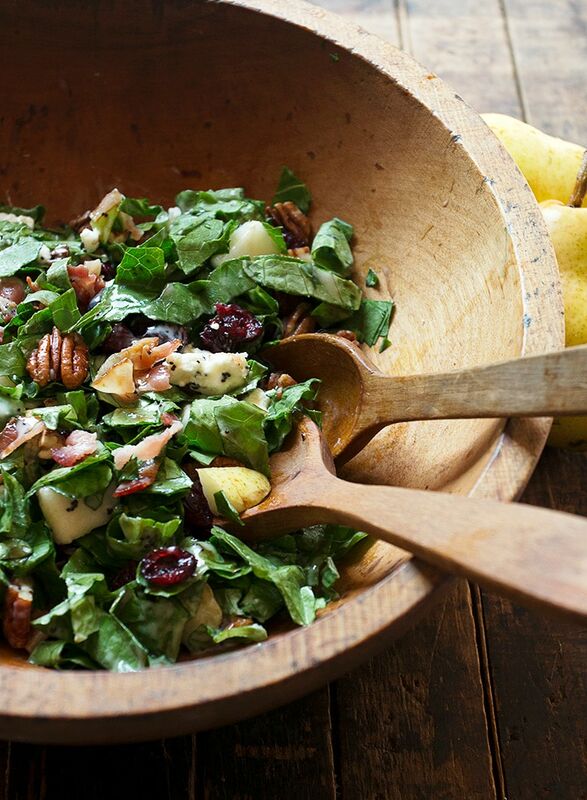 It starts with ripe, firm Fall pears and is combined with dried cranberries, pecans, goat cheese and bacon. Yes, bacon is the perfect salty note in this salad and it pairs so well with the other flavours. It also provides a bit more heartiness for Fall. 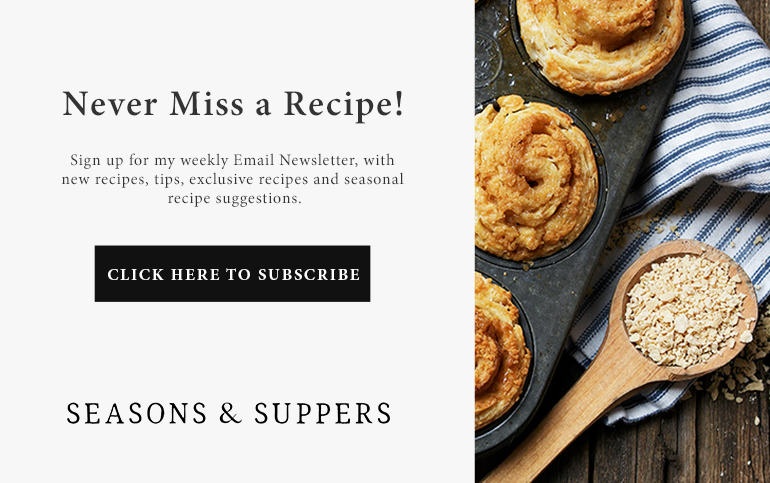 As for salad dressing, I use a quick and easy homemade poppy seed dressing, then finish it all off with a drizzle of balsamic glaze (Affiliate Link). If you’re not familiar with balsamic glaze, I highly recommend adding it to your pantry. It is essentially balsamic vinegar that is lightly sweetened and reduced in to a thicker liquid. It’s sold in handy, dandy squeeze bottles, so it’s easy to grab and drizzle on all kinds of things. I love the super leafy, fresh romaine lettuce that’s available this time of year. It’s usually sold loose in single heads. It’s darker in colour than the packaged romaine heads. If you can’t find that, whatever you can find is fine, or use another green if you prefer. 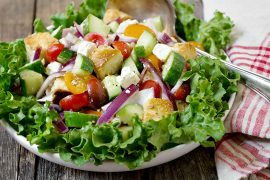 This salad is also lovely with crumbled feta cheese instead of goat cheese, if you’d like to change it up or that’s what you have on hand. You don’t want to cut the pears for the salad ahead, as they will brown as they sit. 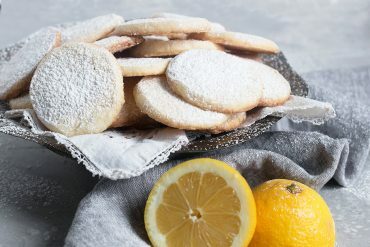 Cut them just before serving. I don’t peel mine. You can if you like. As for which pears, I love Bartlett. Look for ripe, but still firm ones for this salad. If you want to change it up, try Red Pears. They are quite firm, even when ripe, with a more tart, almost apple-like flavour. Likewise, don’t dress the salad too far ahead, as it will get soggy. I try to have everything chopped and ready, but stored separately, then brought together, tossed and dressed shortly before serving. I love this salad for lunch, on it’s own, or for dinner, with something simple on the side. 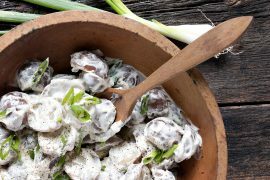 This pear salad has a lot of flavour, so it’s best paired with something simple, like grilled chicken or perhaps fish/salmon. Later in the Fall, it would be nice paired with my Braised Beef Stew with Cranberries. Add some mashed potatoes for a delicious and hearty meal! The Fall flavours of this salad would also make it perfect for the Thanksgiving table! 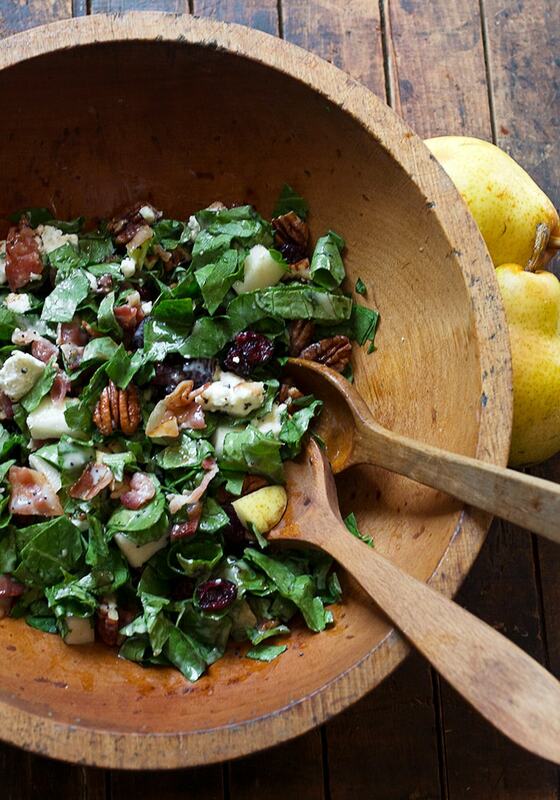 A delicious Fall salad, featuring fresh pears, dried cranberries, pecans, goat cheese and a bit of bacon. One of my favourite salads any time of year! Cook bacon until crisp. Set aside to cool, then crumble. 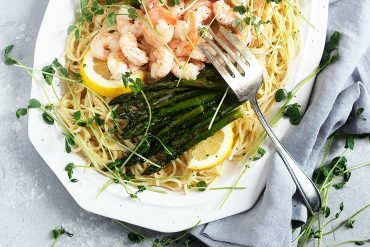 Prepare the salad dressing by combining all ingredients and whisking until smooth, thickened and creamy. Set aside. Add chopped romaine to salad bowl. Top with dried cranberries, pecans, chopped pear and crumbled goat cheese. Drizzle with some of the poppy seed dressing. Toss to combine, adding more dressing if needed. Excellent salad! Perhaps my new favourite. I served this salad for Thanksgiving to rave reviews. I gave you the credit though. So pretty, this is the perfect salad to celebrate fall flavors! Thanks so much, Dawn :) And how is it that you can grow pears in Nfld? Jealous!! What a fabulous fall salad Jennifer. As soon as fall hits, I begin to think of pears, apples, pecans and cranberries. Great poppy seed dressing too! 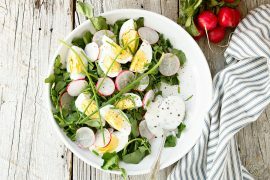 I love the rustic look of this salad, Jennifer ~ salads just taste better in a wooden bowl, don’t they? Thanks Sue and yes they do! This IS the perfect salad to transition to fall. I have forgotten how much I love pear salads so thanks for this beautiful inspiration! I also like to add some tender poached chicken and make it a complete meal. 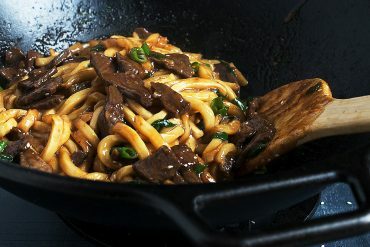 Love the balsamic glaze – going to have to try it soon! Thanks Tricia and yes, it would be perfect with poached chicken! What an elegant way to usher the early days of Fall in! I love this salad, especially the flavors of pear and balsamic glaze together! It can be a great side to so may of Fall’s grilling adventures. Thanks so much, Milena :) I love balsamic glaze on so many things, but you’re right, it pairs perfectly with the pears! 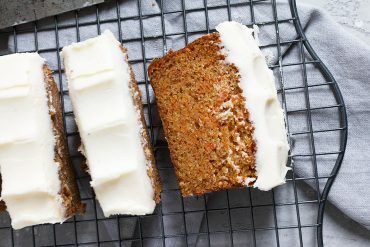 Goodness this gets me in the mood for autumn! I imagine enjoying a nice helping with a crisp apple wine! Beautiful! Thanks so much, Annie and yes, how perfect with an apple wine! This salad has EVERYTHING I love in it. 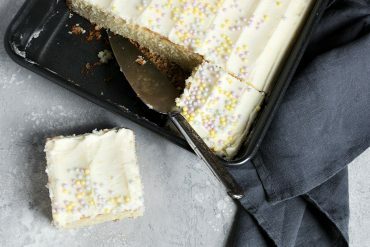 I’ll definitely be trying it soon! !